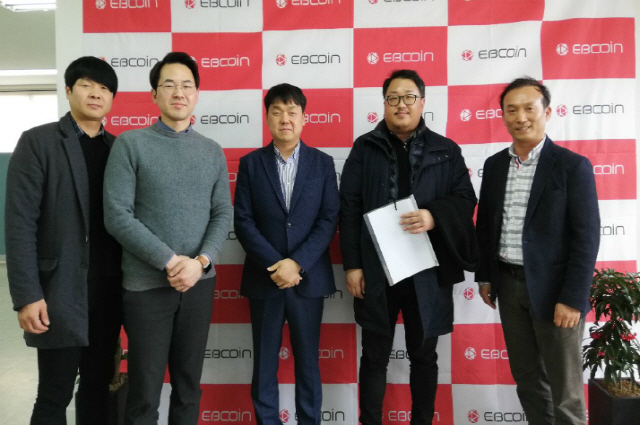 Blockchain company EBC Foundation, Chain Refund and the Future Strategy Bureau of Jeju Island put on a demonstration of a blockchain-based tax refund service at Jeju EBC Lounge Friday. Targeting foreign travelers, the tax refund service is one of the realistic blockchain projects to be implemented by Jeju, which is pushing for the designation of the southern resort island as the special blockchain zone. 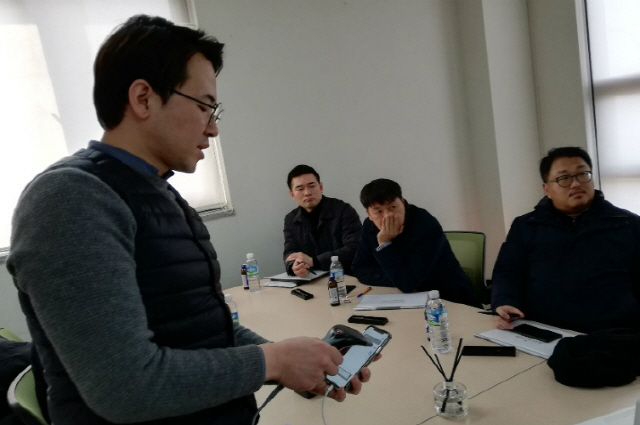 Yang gave a demonstration in person with his passport. The first step of the tax refund is to register a passport photo on his mobile application. He could request a tax refund service as soon as his passport was registered. As the service went into operation, nearby tax refund franchisees appeared on the app monitor. As Yang made payments and showed the bar code via the app as if to buy goods at a franchise store, the purchase was recorded on the blockchain as a transaction. One could see the possible refund amount on the app after the transaction was recorded. As he had his commodity carry-out report confirmed at the customs house and pretended to get a tax refund, the refund record also became a blockchain transaction. “The demonstration version is shown through the Hyperledger Fabric but the real version will be carried out in the Ethereum blockchain network,” said Yang, adding that the transaction speed will become faster by adjusting transactions stored in a blockchain if users increase.